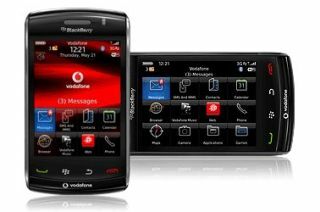 RIM has said it is unlikely to make the BlackBerry OS open source in the near future, despite the success of Android, LiMo and Symbian in recent months. At a RIM developer's conference the question was raised of opening the OS up to let others have a tinker around in there, and while RIM said it had been looking into the idea, making its OS open source was unlikely. "We do have an open source management team that is investigating this," said Cassidy Gentle, a senior RIM Software Developer, according to EE Times. "I would expect some of our Eclipse or Mobile Tools for Java could be made available on an open source basis, but as for our APIs or other software—that's a pretty big leap." Given RIM handles a huge amount of corporate email and sensitive information, it makes sense to close the OS down from other prying eyes. However, the hacking community houses some of the best security experts, so could offer a fresh look at the increasing risks RIM faces.